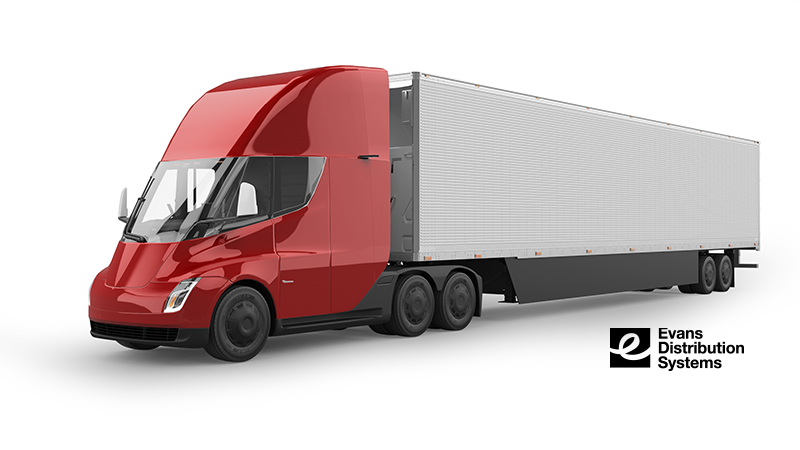 It was about one year ago when Tesla unveiled their plans for the world’s first electric powered semi-truck. The Tesla semi seemed almost too good to be true, featuring top of the line safety features, and mileage capabilities that would make them competitive with diesel powered engines. Now that we are getting closer to the original release date, there is new competition attempting to challenge Tesla. Since the Tesla semi was unveiled, Daimler has presented their plans for an electric version of their flagship truck the eCascadia. Daimler is already delivering a few units to early customers and plan to have the eCascadia in full production by 2021. Tesla’s original production date was pushed back to 2020. Daimler will still be a year behind Tesla for full production. Daimler is also falling behind on mileage capabilities. Stating that the eCascadia will go 250 miles on a single charge compared to the Tesla semi with 500 miles. Despite the disadvantages Daimler appears to have, they don’t seem too worried about the competition with Tesla. Roger Nielsen, CEO of Daimler stated that customers prefer to stay with vehicles they know. He says a smooth transition from diesel to electric will help the eCascadia to succeed over the Tesla semi. However, with the distance and range capabilities for Tesla being double the eCascadia Daimler might want to reconsider that opinion. Range isn’t the only impressive statistic Tesla is bringing to the market. 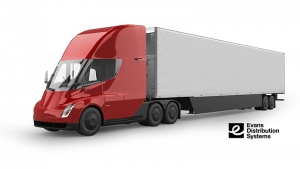 Tesla introduced their electric semi-truck as both a new product (electric trucks), and an improvement on the industry standard (diesel engines). The Tesla semi can go from 0-60mph in twenty seconds while pulling a fully loaded trailer of 80k lbs. It is also an extremely safe semi-truck with safety features not seen in trucks before. Having driver assistant features like auto-pilot and lane stabilization similar to their cars. With the added perk of being able to charge when a truck is being loaded and unloaded. Elon Musk brings up the point that 80% of the routes for trucking companies are less than 250 miles making the range of their battery very effective. This means one charge can complete 80% of routes. The remaining 20% means that truck drivers will be driving over 7 hours which requires a half an hour break by law if you exceed that time. With the mega charger you can charge the battery for a 400-mile trip in 30 minutes. Designing a mega charger that can refill your battery during a required break means you don’t have to wait to get back on the road. The Tesla semi is making big changes in the transportation industry and it hasn’t hit the road yet. The improvements that the semi-truck has made from diesel engines has raised the standard for semi-trucks. Being at a competitive price with diesel engines, transportation companies have a choice to make. Continue using diesel, or switch to electric. With Tesla leading the charge on what is capable for electric vehicles, and companies like Daimler not far behind we may see a major shift from diesel to electric in the next few years.